Few days back, whatsapp via its official blog, announced that whatsapp can now be used on Computer. Earlier before now, we often needed emulators like Bluestacks or youwave in other to download and use the mobile messaging app on PC. However, following the recent update, emulators ain’t needed anymore. At least, not for the use of the mobile messaging service. Based on information on the official whatsapp blog, you can access whatsapp on PC using a Google Chrome plugin. You cannot use Mozilla Firefox, safari or any other browser for this other than the Google Chrome browser. What this plugin does is that, it mirrors conversations and messages from your mobile device to the computer. How Do I Connect and Use WhatsApp On PC Without Bluestacks or Youwave? How Do I Scan QR Code On Whatsapp? To connect your PC Web browser to your whatsapp client, follow these steps. Launch the Google Chrome browser on your PC and visit https://web.whatsapp.com. You should see a QR code. Scan this code inside your whatsapp app and after successfully pairing, you can now enjoy using whatsapp on your system. For iPhone users, you are currently left out of the fun. This is as a result of apple platform policy as stated on the whatsapp blog. Update: IOS users can now use the WhatsApp web feature. What that means is, iPhone users can also use WhatsApp on your computer while connected to the app on their iPhone. Simply download the latest version of whatsapp from Blackberry World as a new update was released yesterday. Launch the app and when on the whatsapp chat screen, swipe from the top of the screen downwards. Where you usually find About, Tell A Friend and settings, you should Find ‘Whatsapp Web‘ amongst the options. Tap on that and tap on ‘OK. GOT IT. Now, place the phone camera to position on the QR bar-code on the web browser on your computer and it should automatically pair. Simply download the latest version of whatsapp from Google Play store as a new update was also released yesterday. Launch the app and Tap the Menu button. Tap on ‘OK. GOT IT‘. Now place the phone camera to position on the QR bar-code on the web browser on your computer and it should automatically pair. Pretty much same step is required for iPhone. If you need a separate guide on that, I’d be more than happy to show you using the comment session. Do note, both the phone and the computers needs to be connected to an active network for the process to work. Since it’s just a mirror form of usage, this is important. Both devices however, do not need to be connected to the same network. WhatsApp over the years, has released a handful of new features. There is the ability to quote and reply to direct conversations, voice and video calls, and the recently introduced WhatsApp status. There is actually more. Did i mention you can also format your WhatsApp conversations by using bold, italic and strike-through? Oh yes, that’s there too. For those of us whose favorite browser is the Mozilla Firefox, no more do you have to toggle between google chrome and Firefox all in a bid to replying messages on the mobile application. Now, all can do done from the comfort of one PC browser. In this case, Mozilla Firefox! 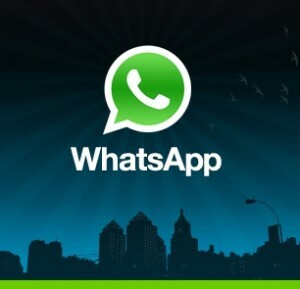 Simply download the Whatsapp Web Add-On Here. No need to get scared of data, it’s just about 8.4KB. After successfully downloaded, click on Add to Firefox and choose to install it. Make sure it is also activated. After the plugin has been successfully installed and activated, on the Firefox address bar, visit web.whatsapp.com. Scan your QR bar code and the client should automatically mirror your phone with your computer thereby showing you all your current chats. At this point, you can start receiving and sending messages using the PC client. However, please do make sure to keep internet active on both your mobile device and your computer. Both devices do not need to be connected to the same internet connection (e.g, WiFi network) for it to work. Just be sure that both device has got active internet connection. I am honestly waiting for the call feature to be officially introduced on whatsapp. Can’t wait to start rocking free calls and say welcome to a huge decline in mobile phone recharges due to calls. Update: That has been activated and can be done on WhatsApp. Download the latest version of the app and you should be good to go. While you can utilize all of the new features on the PC client, the ability to make and receive calls using your computer, isn’t possible. At least, not yet. You’d need to revert back to your phone for that. I have whatsapp on my pc (using bluestacks). How can I use it using chrome or firefox without having the need to scan the QR code ? Please help. Thanks. I have whatsapp on pc (using bluestacks). How can I shift from there to google chrome or mozilla firefox, without having the need to scan an QR code ? Please help. Thanks.